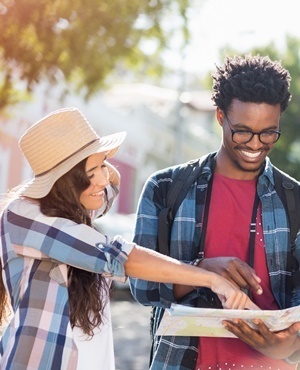 Cape Town - Almost 400 000 guests were welcomed to South African Airbnb homes in 2017, according to the international short-term lodging company. However, homeowners need to be aware of the insurance risks involved before they hand over the keys to their guests, cautions Nazeer Hoosen, CEO of PPS Short-Term Insurance. He explains that most policies don’t exclude homes being rented out, but it is advisable for homeowners to disclose this information beforehand. “This way, all the risks are fully understood by the underwriters. Failure to disclose this kind of information may lead to issues down the line when it comes to claiming back should something go awry,” he explains. Furthermore, all policies carry a "non-disclosure or misrepresentation" condition. This means that if the insurer receives a claim for damages that is perceived to be prejudicial to them, a homeowner’s policy could be cancelled. Do you need a separate policy? In answer to the question whether one should take out a separate policy to cover your home and belongings if you rent it out, Hoosen says "not necessarily". “If your insurance provider is comfortable accepting the risks, then there is no need for a separate policy. Most policies include liability sections which you must opt for, such as injury, illness or death to a third party and damage to third party property,” he says. Moreover, should your tenant act in a way that could compromise your policy validity, the onus is on you, the policy holder, to immediately inform your insurance provider of these actions. However, to provide homeowners with additional peace of mind, he advises to take a separate policy for the other matters, such as rental recovery and tenant eviction. Renting out your home or property does come with considerable risk, explains Hoosen. “My view is that a tenant will never look after the home with the same passion as an owner. There is always a risk. Make sure to read through your policy very carefully before making the decision to rent out your home this holiday,” says Hoosen.